Using independently collected data every week from all sectors of retail you can see what is happening in your fresh produce category. 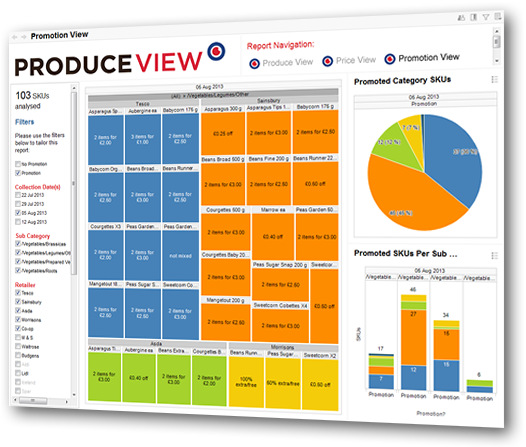 With reports covering loose, pre-packed and prepared products from conventional to organic and fairtrade, ProduceView shows you key data at a very competitive price, and you can download data and charts into Microsoft Excel or PowerPoint. Be better informed.